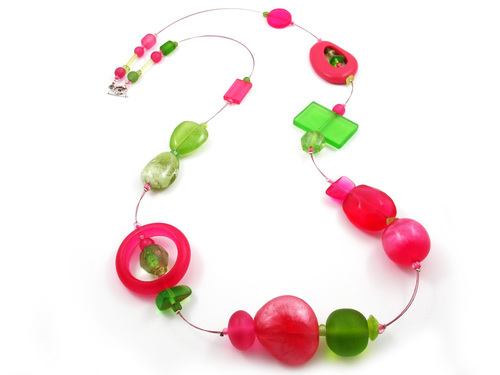 A beautiful example of timeless jewelry, this elegant but bold necklace will transform any outfit into ‘stylish’. 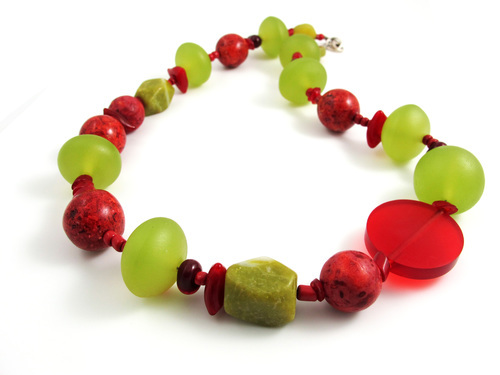 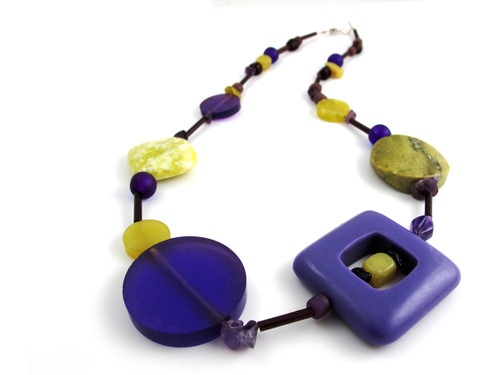 Very comfortable to wear, this gorgeous neck piece is a must have classic. 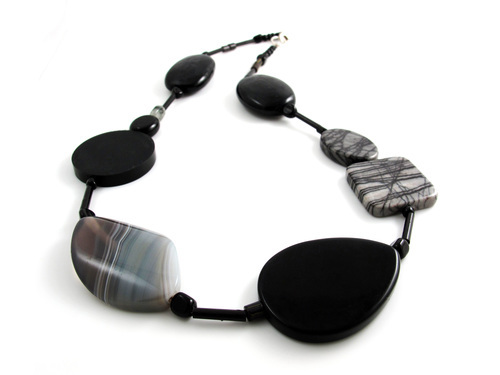 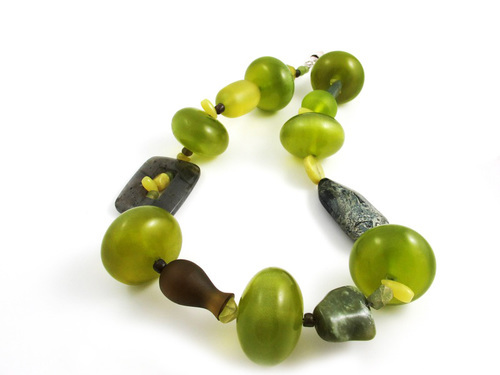 Length: 50cm approxMaterial: Resin, black onyx, grey banded onyx, picasso jasper and handmade glass Clasp: Sterling silverNote: All Neolithic products are hand-crafted, as such, slight variations in color or pattern may occur.